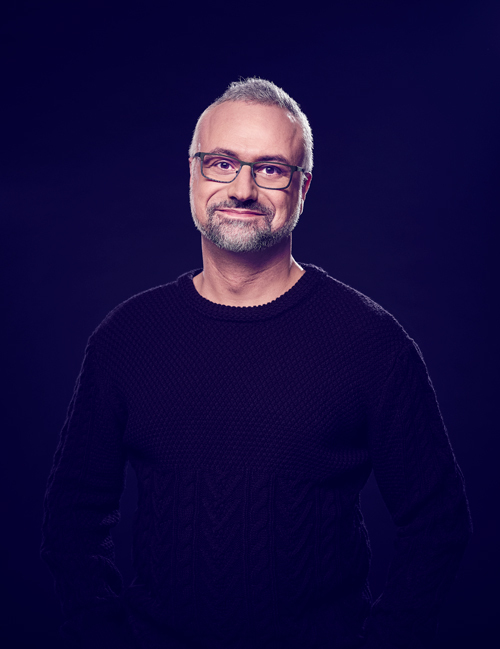 A few days before his presence at the 2019 D.I.C.E Summit, Yves Jacquier, Executive Director of Production Studios Services, gives us a portrait of AI in video games. Artificial intelligence and video games are both 70 years old, if we say that the former started out with Turing and Shannon and the latter with cathode-ray tube amusement devices. In 70 years, each has developed through the strengths of the other. What better way to compare decision-making processes in human beings and machines than through games? Games have long been used as a measurement, model and point of comparison in AI development. It should be said that video games have also evolved significantly over the last several decades. They are more vast and complex, have moved from 2D to 3D, and have now reached high degrees of sophistication. This blazing evolution has been made possible by increasingly powerful tools, many of which have their origins in artificial intelligence, whether they are for managing in-game interactions in real time or for accelerating the creation of worlds that are more and more sophisticated. AI is in large part responsible for the quality of the virtual adventures that we have access to these days. This relationship isn’t new, and yet over the last 10 years, we’ve witnessed important advancements in both domains that are likely to entirely reinvent this relationship. In order to properly understand the scope of these achievements, we must first understand recent developments in artificial intelligence. First off, what is artificial intelligence? One widespread definition is: “a system that is capable of making decisions at a similar level to a human being.” However, our points of reference change over time. Fifty years ago, a tool for correcting grammar would have been the stuff of science fiction, and in Gutenberg’s time it would have been witchcraft! The notion of artificial intelligence, then, appeals equally to our emotions and to the rationale of its imagined applications. As such, AI will always represent a futuristic system. Second, AI engenders a great deal of concern, disproportionate enthusiasm and often sensationalized speculation. Given this abundance of information and opinions, it is often difficult to keep things in perspective. In reality, today’s AI results struggle to find a real use and often do not perform nearly as well as tried-and-tested solutions. Finally, the concepts upon which machine learning is based are not new. However, the speed at which they are rolled out these days is unprecedented. It’s difficult to follow advancements in the field and even more difficult to go deeper into the topic, all the more so because not even the experts see eye to eye. In 2016, an article attempted to evaluate the impact of AI on a number of human activities by asking selected specialists to make a prognosis. Unsurprisingly, the responses were all very different, some even going as far as to predict that all currently existing jobs will be replaced by computer programs. The most optimistic responses reckoned that a program capable of learning and defeating a human in a game of Go could be launched in 2020. AlphaGo Zero was released at the end of 2017. Developments are moving fast. Very fast. This speed conflicts with several obstacles to the application of these results, to turn them from interesting to useful. In the next article, we will look at some of these obstacles and consider possible strategies for overcoming them.